The RBC's here are smaller than normal and have an increased zone of central pallor. 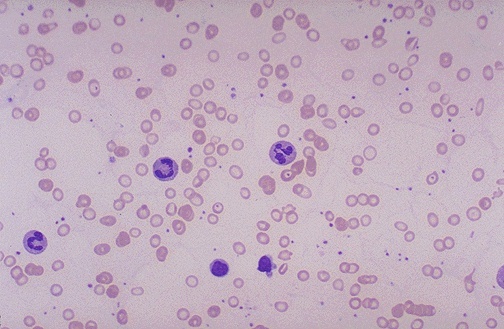 This is indicative of a hypochromic (less hemoglobin in each RBC) microcytic (smaller size of each RBC) anemia. There is also increased anisocytosis (variation in size) and poikilocytosis (variation in shape). what is your DDx ?